Thoughtful Thursday: Ethical Trade Initiative Certified Fashion — Heart & Soul PR, Inc.
UK based fashion house Mayamiko is ahead of the game when it comes to ethically sourced fashion businesses. 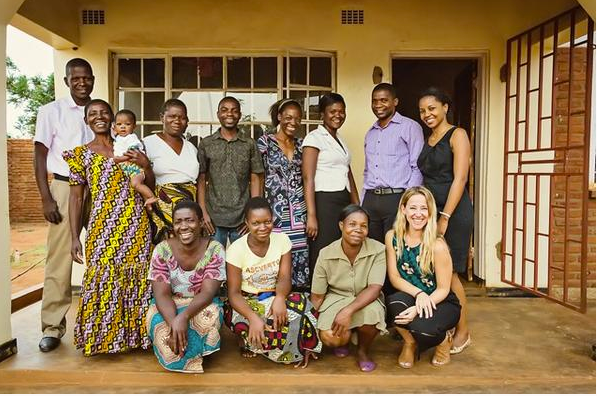 Focusing mainly on designing women’s apparel and accessories, they work closely with underdeveloped communities in Malawi in order to produce their authentic artisan-created lines. Combining traditional African fabrics with contemporary fashion concepts draws audiences from around the globe to their shop. Not only do they adhere to firm ethical rules during production, but they also support the Mayamiko Trust (a charity established by Masperi in 2008). This concept is driven solely by the creative talents displayed by locals; thus, their abilities are turned into sustainable, revenue producing jobs. The best part? They promise to not only stick to the Ethical Trade Initiative’s principle, but also their own strict ethical code of conduct. Wondering how to join the Fashion Revolution Movement? Check out their Mayamiko’s website (www.mayamiko.com) on this Thoughtful Thursday and learn how to make a difference!